With New Year’s falling in the midst of winter, it’s highly likely that you’ve been putting off some important home maintenance jobs, whether they’re DIY projects or things that require you to call in the experts. Here are five of the top New Year’s resolutions to have about the home, so you can start the year in comfortable and safe surroundings and make some early headway on your DIY to-do list for the next 12 months. Painted surfaces look better and last longer if you prime them with a suitable undercoat and apply several coats of your chosen top layer – and that takes time and effort. 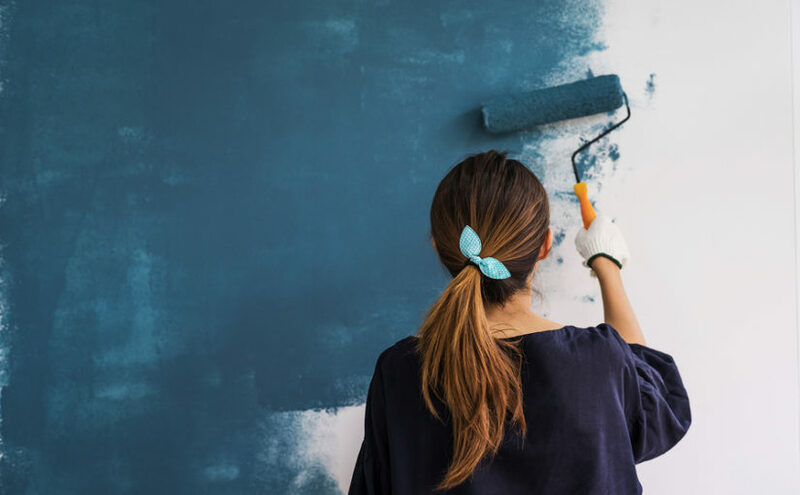 There are no short-cuts here, as paint slapped on too thickly will start to peel sooner, so make use of the extra time spent around the house during winter to choose at least one room and give it a proper overhaul. Do all of your sockets and switches work correctly? If not, it’s as good a time as any to investigate whether you’ve got a faulty socket, a loose wire, or conflicting switches on the same lighting circuit. Even if everything is working fine, take a look at your plug sockets for signs of wear and tear, scorch marks around the plug holes, cracked edges and so on – it might be worth getting those replaced with a good-quality socket or switch plate. A slow leak from the bottom of the boiler, a dripping tap or a poorly sealed shower tray can add up to a big problem over time, and the winter months are when plumbing issues tend to become apparent with boilers under more pressure and bigger temperature changes in the pipes. Like your electrical sockets, it’s smart to inspect your pipework and plumbing and get it fixed as soon as you can to prevent a small problem from turning into a big leak. It’s not a DIY makeover for the home, but the new year is the perfect time to take a more consistent approach to rubbish and recycling, especially if you find your bins are always overflowing on collection day. Make sure every room in the house has a bin for general waste, plus suitable bins for recycling – paper waste in the office, plastic bottles in the bathroom, and containers or caddies for plastic, metal, glass, paper/card and food waste in the kitchen – and you’re a step closer to keeping recyclables out of your general waste wheelie bin. Finally, whatever you’ve been planning and putting off over the past few months, get stuck into it this year – you don’t have to wait until summer, especially for interior makeovers. You can only complete the projects you start, and many DIY home makeovers are surprisingly affordable with just basic tools and materials to pay for, so make it your New Year’s resolution to be more of a starter-finisher over the coming 12 months and more.